Bring Us An Offer! 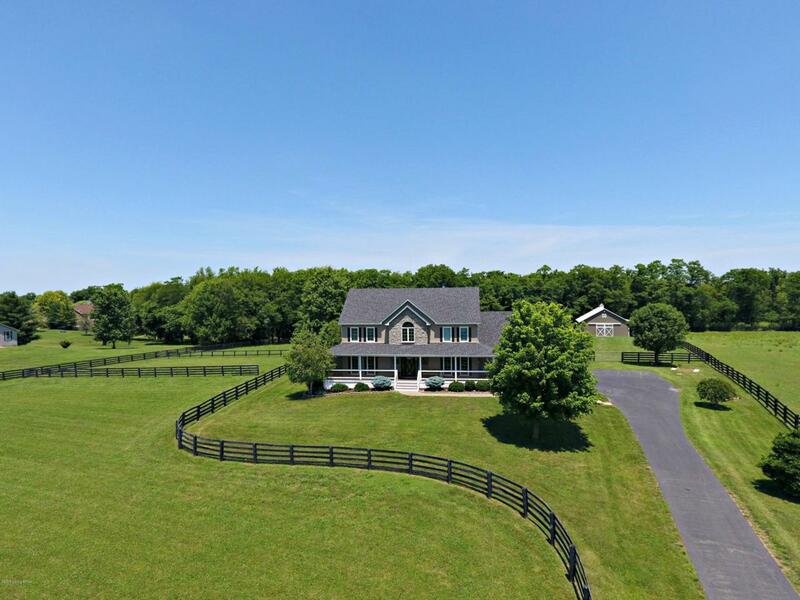 Gorgeous Home & Farm on 5+ acres in Taylorsville. 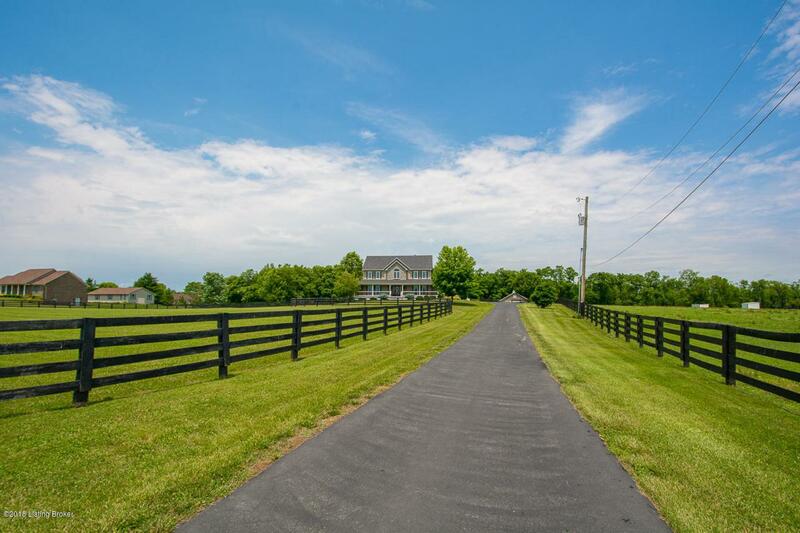 Come experience Southern Charm in this 4 Bedroom, 3 1/2 Bath home with 4,512 sq. ft. of finished living space. Plus, a 6 stall 36'x36' barn. Fresh paint throughout September/October 2018. 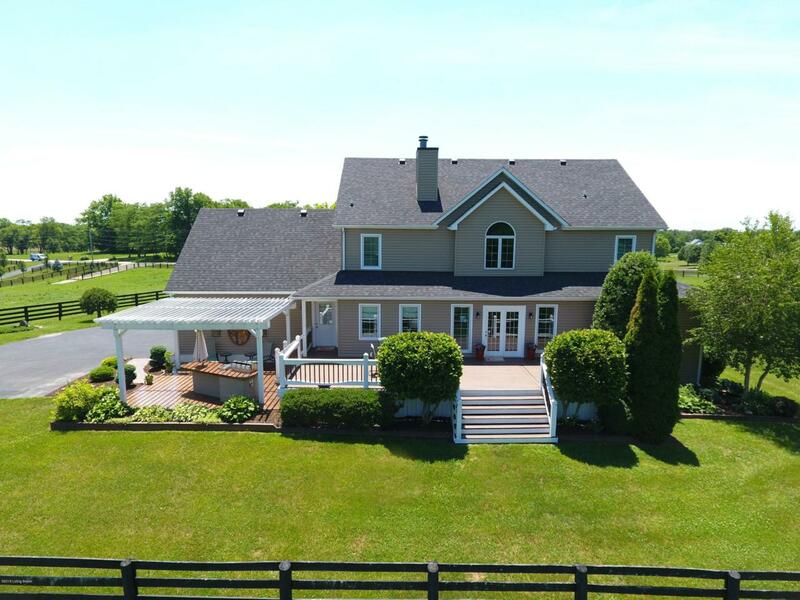 Welcome guests on the lovely front porch overlooking the scenic countryside and through the custom lead glass front door. What a stunning first impression! 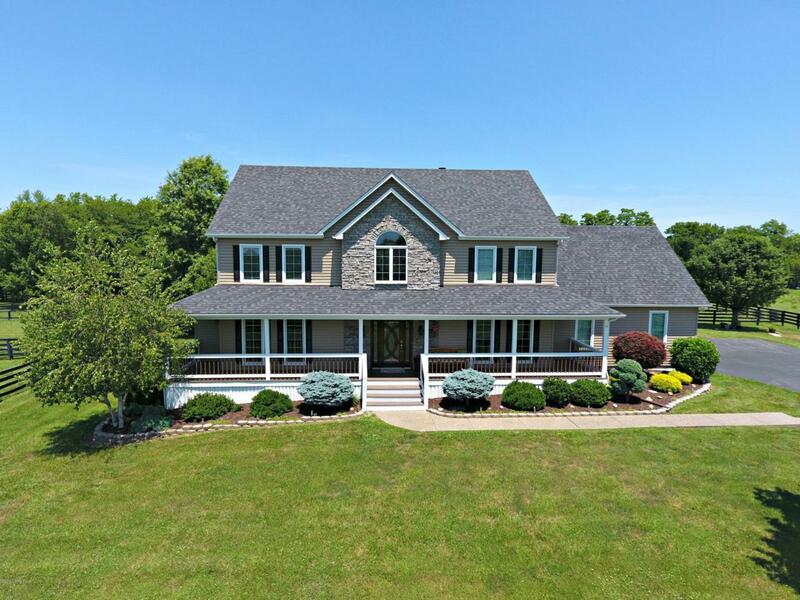 The 2 story Foyer is open to the second floor mezzanine and leads to the Great Room. The Great Room features a vaulted & beamed ceiling, gorgeous fireplace w/ hearth bench seat and a wall of windows letting in the natural sunlight.The Eat-in Kitchen is a cook's dream with lots of cabinet and granite countertop space, custom tile backsplash, recessed lighting, double ovens, smooth cook top, island w/ storage and large Dining area. The Formal Dining Room w/ trey ceiling is just off the Kitchen and perfect for family gatherings. Retreat to the luxurious first floor Master Suite w/ trey ceiling, space for a Sitting Area and access to the Deck. Then, relax in the spa-like Master Bath w/ double sink vanity, frameless shower, and separate soaker tub. A convenient Half Bath and Laundry Room complete the main floor. The upstairs offers 3 large Bedrooms and 2 Full Baths. One Bedroom could be used as a 2nd floor Master Suite. More space to relax or entertain in the Finished Basement w/ areas for a Family Room, Game Area, Billiard Room or Workout Area. So many possibilities. Keep the party going outside on the Deck or Patio areas offering plenty of seating and breathtaking views of the property. A pergola shades the built-in grilling station and a seating area. Fresh landscaping all around. Separate fenced-in areas allows for your favorite animals to roam. The Barn has 6 stalls total (3 stalls finished and a tack room). This Picture-Perfect property is stylish, functional and offers exceptional quality. Move-In Ready!